There was once .... a very sweet, stubborn girl who listened to the name Chiggy. 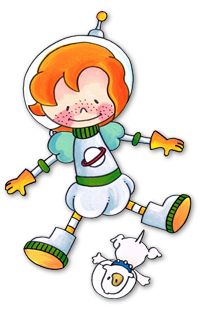 She has red hair and a face full of freckles. Chiggy lives with her four-legged friend Dox in a very pretty little house on the outskirts of Happy Town. The boyfriends and girlfriends from Happy-Town love Chiggy and her dog. They play together and experience the craziest and most exciting adventures. Chiggy has a hobby she loves and that is collecting mirrors. In her little house you will find hundreds of mirrors, big, small, round, square, simple and richly decorated with lots of glitter stones. And in the smallest room she has a very special mirror. It is pretty and large and has a beautiful golden frame. It is a dream mirror. If someone is in distress and needs her help she calls for help from her dream mirror. Close your eyes ... .. say the magic phrase and Chiggy is in the dream world of her mirror.Die magic phrase they then pronounce the following sounds: volij-holij-dolij-zip. In that dream world she and her friends experience many exciting adventures . 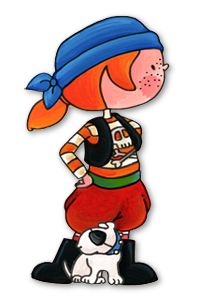 Chiggy turns into a pirate, princess, soldier or fairy to help her friends. But Chiggy is not always near her house and then she does not have access to her large mirror, but there is another solution. Chiggy's sweater has a similar mirror, just as the dream mirror. With a push the button and the magic phrase again as she finds herself in her dream world. This way she can always come to the rescue and solve all problems. 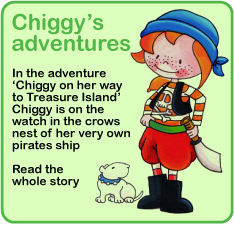 Check this site Chiggy which adventures Chiggy undertakes, you can experience them all too.